Pink took over BMIT’s cyan today as our staff organized a Pink Day at Work in order to raise awareness and funds in aid of Pink October Malta. 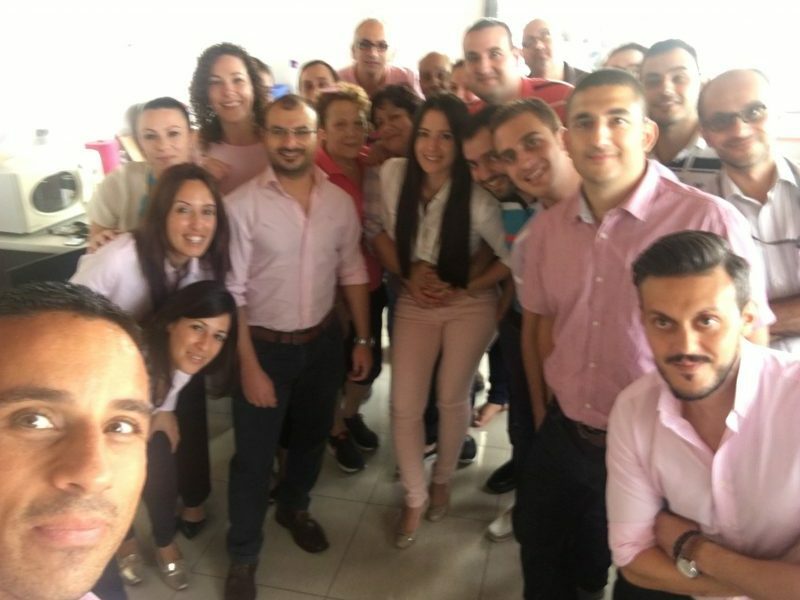 Apart from a myriad of pink-themed food and beverages, the Pink Day at Work also included an educational session on identifying the symptoms of breast cancer, a disease which affects over 300 women in Malta every year. We at BMIT are proud to have played a part in shining a spotlight and raising awareness on the most common malignancy and the leading cause of cancer-related death in women. Take a look at some of the events being organized in the coming days to help support this initiative.